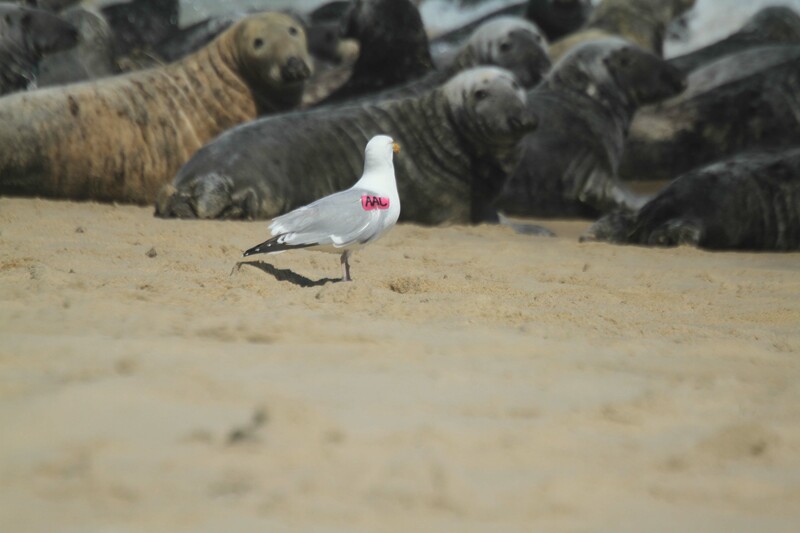 During our two week stay on Sable we deployed pink wing-tags on 21 adult Herring Gulls. 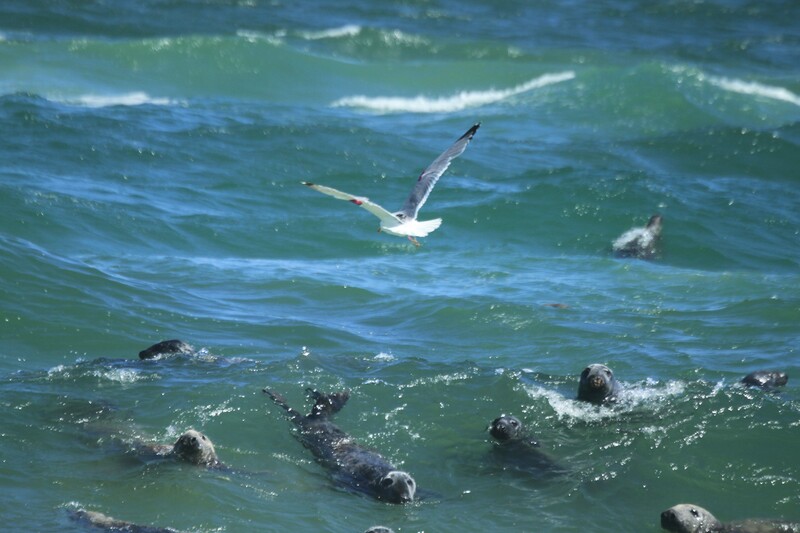 We frequently re-sighted these birds around the island as they went about their business loafing on beaches, preening at ponds, perched on rooftops, incubating their eggs, walking among seals and just flying around. Here are a few of our favourite pics! Herring Gull “AAF” was found this afternoon at 3:45pm on a floating dock on the waterfront, Hudson River, in Newburgh, NY in the comopany of 50 assorted Herrings & Ring-bills plus 4 Great Black-backs. 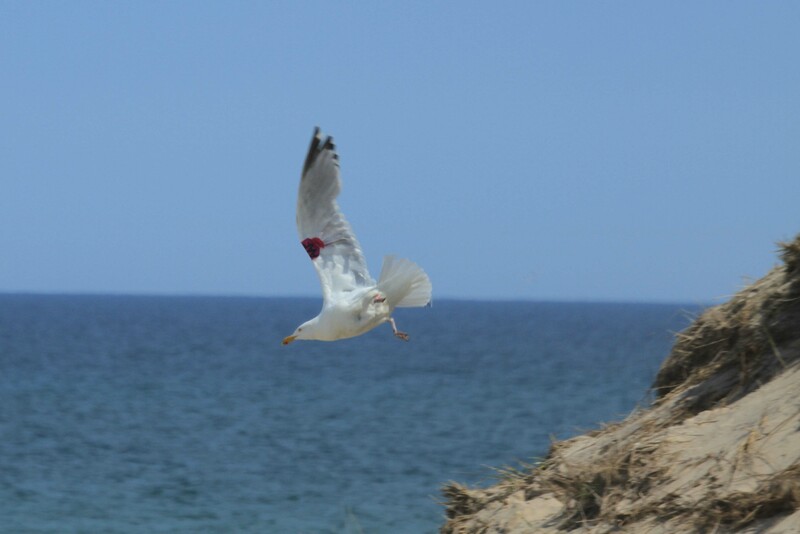 On the weekend when I was out of State I understand that the same bird was seen on the waterfront in Beacon, NY which is in a direct line 1 1/2 miles away on the East side of the Hudson. The letters on the left wing were 2/3 covered by the birds plumage and identification was made by reading its’ leg band at a distance of 50 feet.